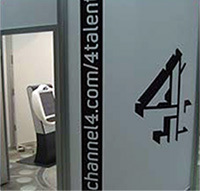 Our Video Kiosk combines ground breaking design of sleek looks and inviting shapes with pure simplicity and versatility of operation to ensure it will fit into any environment and application. Our free-standing model is ideal for both temporary and permanent installations. It has been designed to be broken down into two specially designed transit cases for easy storage and transportation. Alternatively, our wall mount video kiosk offers a perfect solution when space is at a premium. Using our video booth is simple. Users are guided through their recording session by our easy to use touch screen and audio prompts. The interactive touch screen can be completely customised to suit your brand and requirements. 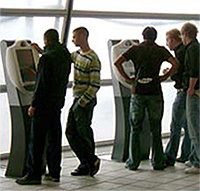 The video kiosk can also feature a range of accessories from payment mechanisms to voucher/ticket printers. The DVD Quality video results are available immediately to be watched back from the kiosk, recorded on DVD, sent over a network or shared on the web.